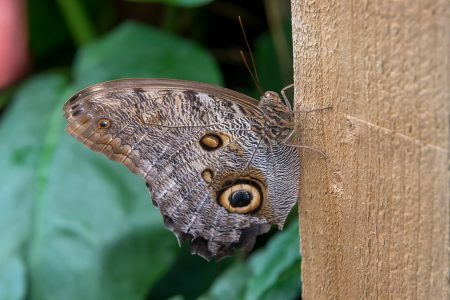 Following on from Malcolm’s excellent article ‘Are butterflies getting rarer‘ in the members posts, I wonder if you have seen anything interesting in your garden. We only have a smallish back garden and have had Small White, Large White, Common Blue and a Meadow Brown, amongst others. How has your garden coped during the really hot weather? Do you have specific plants that attract the wildlife? We have various plants and small trees in our garden, all of which I have no idea what they are called!! Hazel has told me many times, unfortunately, my interests lay beyond the plants. As you can tell avid readers, I must admit to being a complete novice at plantology and I get help from Irene, Sally and others on our outdoor meetings. An interesting article that I have just found on the BBC website. A rare butterfly species has returned to an Oxfordshire beauty spot after an absence of 30 years. 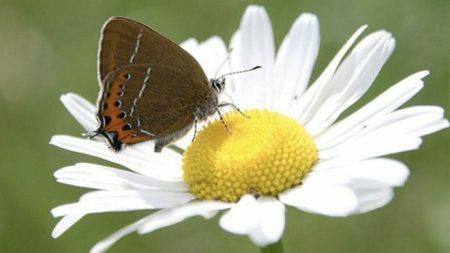 The black hairstreak was spotted on North Leigh Common where preservation work to retain blackthorn, where it lays its eggs, has been carried out. Butterfly Conservation said it was last seen on the site near Witney in 1988. Stuart Hodges, from the charity, said the sighting was “particularly significant” as it was only seen in June and early July. 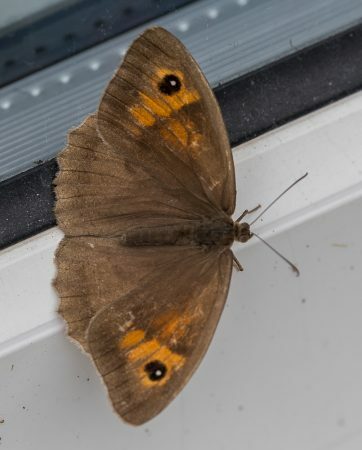 The Butterfly Conservation, which lists the butterfly on its “high” priority conservation list, said the hot summer had increased numbers of the species. Millbrook has been completely revamped and we can admit to eating in their new restaurant yesterday!! Please be aware that the temperature in the butterfly house, is in excess of 30 degrees and the humidity is about 77%. As per normal, my e mail address is newsletter@rspbgravesend.org.uk and I would love to hear from you. Butterfly sightings we’re down this year in terms of numbers of individuals of each species but here is a list of each species we saw in the garden. Meadow Brown, red admiral, small tortoiseshell, cabbage white, small white, peacock, orange tip, brimstone, Gatekeeper, common blue, holly blue, ringlet and speckled wood. We also had an unidentified fritillary of some kind – it was large, orange and a very strong flyer, only touching down for a second or two, hence my difficulty in identifying it! We try to grow a variety of plants that will attract bees and butterflies and also allow certain native species like violets, ladies smock, nettles, greater willowherb, celandines, marjoram, welsh poppies, some space in the garden since they are so under pressure elsewhere and are vital as food plants for insects. Just to let you know we regularly have hummingbird hawk moths in the garden too, or we did when the weather was so hot and sunny. Unfortunately a couple got trapped in spider’s webs in the greenhouse and died before we could release them but it did mean we had specimens to show to our grandchildren who were very fascinated to see them. We’ve tried to get them all interested in wildlife and the environment. Thanks Rosemary and your list is very impressive. It just shows that with a little imagination, we can all help the wildlife in our gardens. A shame about the hummingbird hawk moths though, however, I’m glad that your grandchildren were fascinated by them and may they continue to be interested in wildlife and the environment. Perhaps one day, they can join you on one of our outdoor meetings. I just wanted to include in my butterfly list commas and one painted lady. My husband has just reminded me too, that the two moths that got caught in spider’s webs were actually elephant hawk moths. The humming bird hawk moths that visit us seem to love agapanthus in particular. Every autumn we keep a look out for ivy bees on the ivy that grows in certain parts of the garden. We allow it to grow in some areas because the bees love the flowers but also because birds love the berries and the roosting sites it provides. I also think it’s beautiful and often cut it in the winter for flower arrangements and of course for Christmas. We also have a wayfaring tree that seeded itself and now is quite an important feature to us as the birds use it in the autumn and winter to sit in while they wait to feed on the bird feeders we have nearby. We get very good views of them as a result and sometimes that one little tree can have 10 or more different types of birds all waiting their turn to feed, while we have our binoculars trained on them. Probably the best berry bearing tree that we’ve planted in the garden for the birds are the 4 guelder rose trees that we put in a few years ago. Not only are they beautiful when in flower in the spring but they are magnificent in autumn and winter and are always full of birds feasting on the berries as the weather gets colder. We’ve had so many wonderful birds coming into the garden as a result of gardening for wildlife that I wonder why more people don’t do the same. We still have a beautiful garden with colour all year round but a few simple changes like not being too tidy, tolerating and even encouraging “weeds” – they are beautiful too- and having several sources of water around means we do see a lot of fascinating wildlife here. We used to have slow worms in the garden but, sadly, we haven’t seen them for some years now. I suspect cats are to blame. Thanks again Rosemary, a lovely insight into your garden.